Home / main / EFCC Arrests Four Suspected Fraudsters. EFCC Arrests Four Suspected Fraudsters. 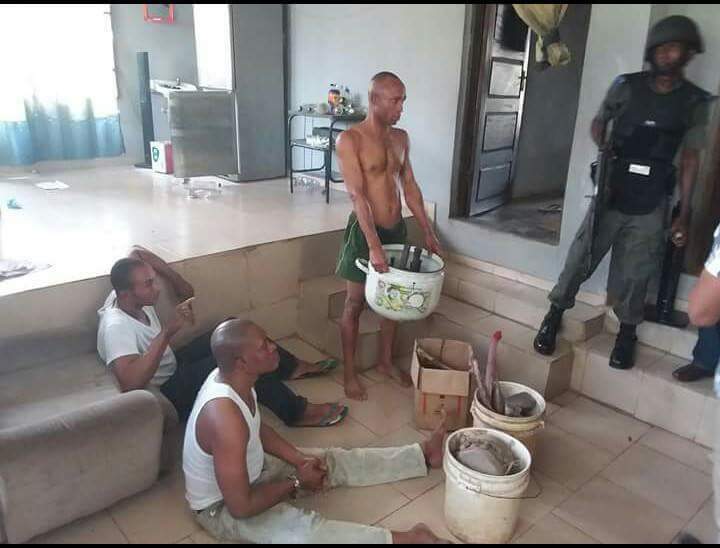 The suspects were arrested on September 25, 2017 in Benin City sequel to a petition by a complainant alleging that sometimes in May 2017 he got a call from one Chris Amadi who claimed that he knew him during his National Youth Service year. According to the petitioner, Amadi informed him that he worked at the Federal Ministry of Agriculture, Edo State before being transferred to Minna ,Niger State and that while he was in Edo State, he transacted businesses with one Alhaji whom he supplied cow medicine (Cow Bruma). The petitioner further alleged that upon calling Adeboye, he sent him an account number in which he paid Four Hundred and Ninety Thousand Naira in order to be a cow medicine distributor. During investigations, operatives of the Commission discovered that Amadi whose real name is Chibuike Ogbonna is the head of a syndicate involving Michael Agun, Osaikuiwomwan and Vicent Odia. Further investigations revealed that Odia Vincent plays the role of a dubious native doctor, parading fettish objects and charms with which they dupe unsuspecting members of the public.